Major New Jersey airports include the Atlantic City International Airport in Egg Harbor Twp, the Newark Liberty International Airport, and the Trenton Mercer Airport. 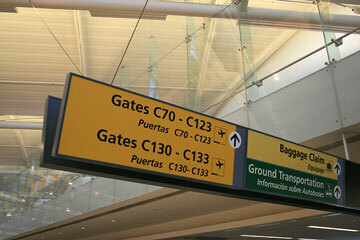 The photo at right shows airport signs in a terminal at Newark Liberty International Airport. This New Jersey airport map shows FAA-designated commercial service airports, reliever airports, and general aviation airports in the State of New Jersey. 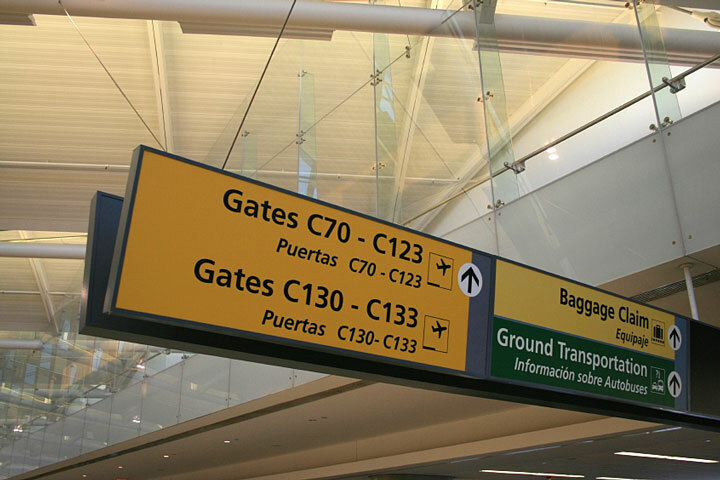 Primary airports are designated with an airplane symbol. New Jersey airport map source: FAA 2001-2005 NPIAS.